Jess will adamantly argue with me on this one, but let’s be real, out of all the Girl Scout cookies, Thin Mints reign supreme! I always buy a couple boxes and then store them in the freezer so they last me all year round, mostly because I forget about them. I had a birthday party to go to recently and wanted to bring my own dessert. 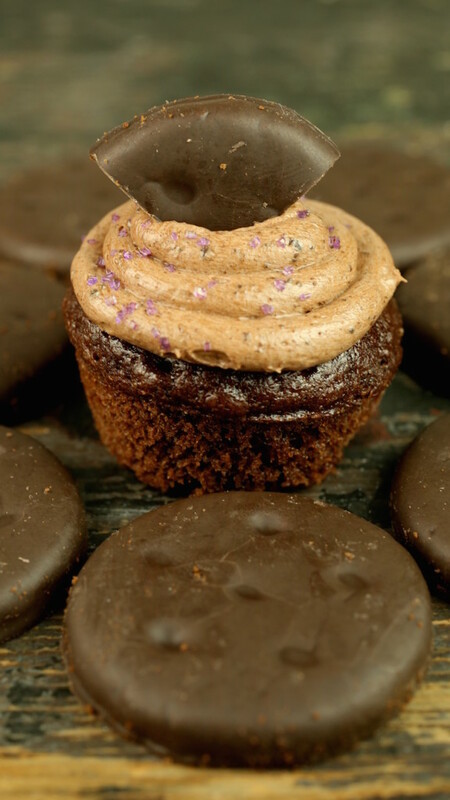 I saw a recipe for these cupcakes and remembered that I still had a box of Thin Mints that should probably come out of hiding and be used to share with everyone. *After you crush the cookies, send them through a sifter and use only what falls through. Sift the devil’s food cake mix into a bowl and set aside. In a large bowl, combine the eggs, butter, milk, sour cream, and vanilla extract. 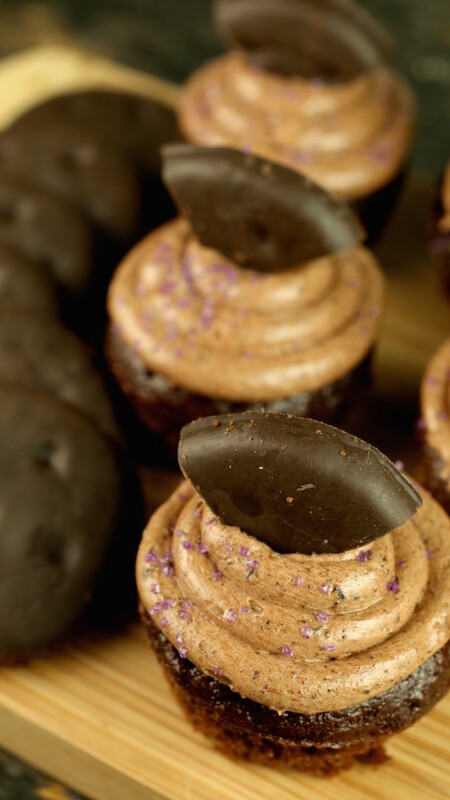 Once mixed thoroughly, fill each mini-cupcake space of your mini-cupcake pan ¾ of the way full. Bake for 8-10 min. or until an inserted toothpick comes out clean. Beat the softened butter for 2 min. Add cocoa powder, vanilla extract, peppermint extract, and milk or sour cream (I used sour cream) and beat again. Mix in crushed cookies and slowly add in powdered sugar until you reach your desired consistency. Pipe frosting on to cooled cupcakes and top with sprinkles. 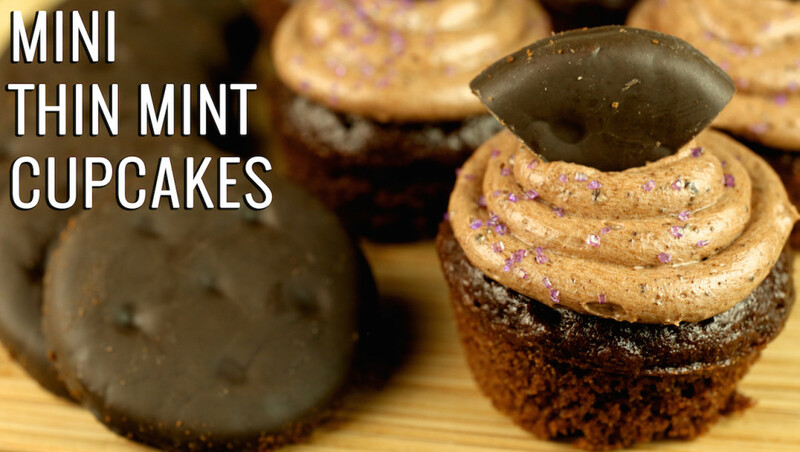 Cut extra cookies into quarters and put one quarter on top of each of the cupcakes.